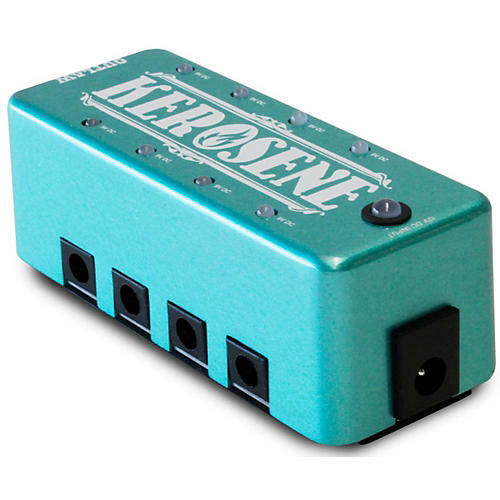 The Kerosene micro power supply helps you streamline your pedal boards by eliminating individual power cords/wall adapters. With eight 9V DC outputs each offering 300mA of current, and 2000mA of overall output, Kerosene has plenty of fuel to burn. Like all Outlaw Effects, Kerosene is housed in a durable aluminum alloy chassis.